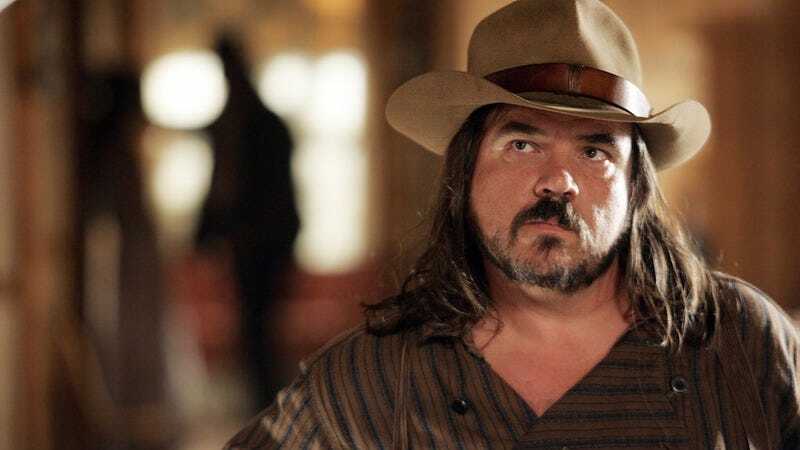 W. Earl Brown, who has experience playing slovenly, Western-influenced characters with a skewed moral compass on both Deadwood and Justified, will be portraying Hugo Root, a slovenly, Western-influenced character with a skewed moral compass, on AMC’s upcoming Preacher adaptation. Deadline reports that Brown has been tapped to play Sheriff Hugo Root, Texas lawman, part-time father and full-time abuser to his son Arseface, and all-around bad dude. Brown will join Dominic Cooper, Ruth Negga, and Ian Colletti on the new series produced by Seth Rogen and Evan Goldberg, Sony TV, and AMC Studios. Preacher is based on the Vertigo comic-book series focusing on Jesse Custer, a conflicted preacher in a small Texas town who develops the ability to make anyone do anything he says. Custer, along with his girlfriend Tulip and an Irish vampire named Cassidy, embark on a journey to find God himself. The Preacher adaptation has spent the past 16 years in development hell, with Kevin Smith, San Mendes, HBO, and James Marsden all attached at various points. Brown recently appeared on A&E’s Bates Motel and FX’s American Horror Story, and also be featured on season two of HBO’s True Detective. Preacher is set to premiere in 2016.